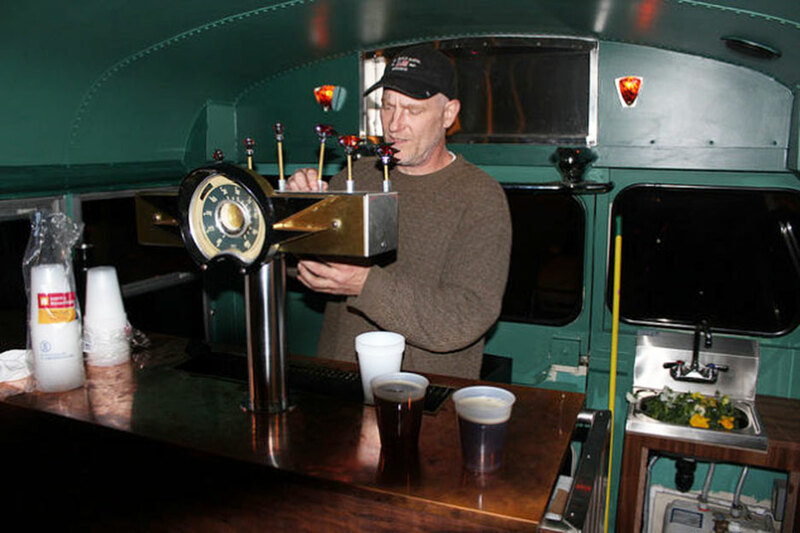 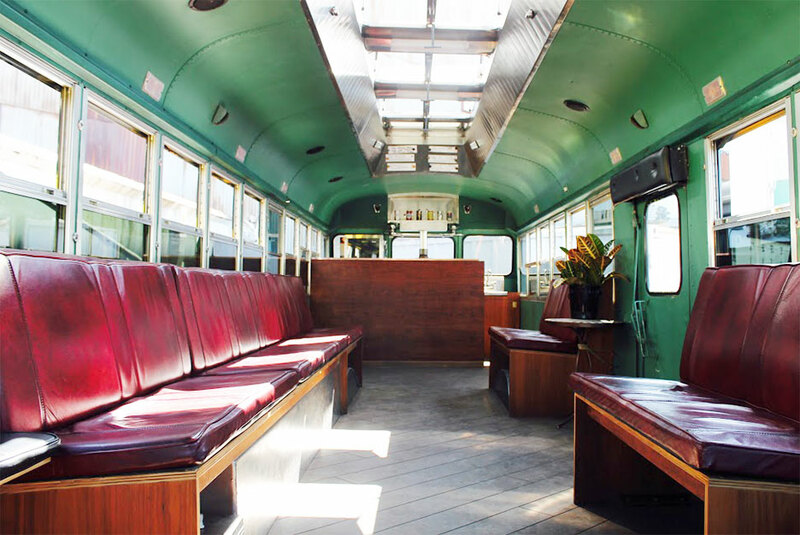 The brewtruc is Hugh Schick’s design of a converted school bus licensed as a limo and for entertainment, which can serve beer to its passengers. 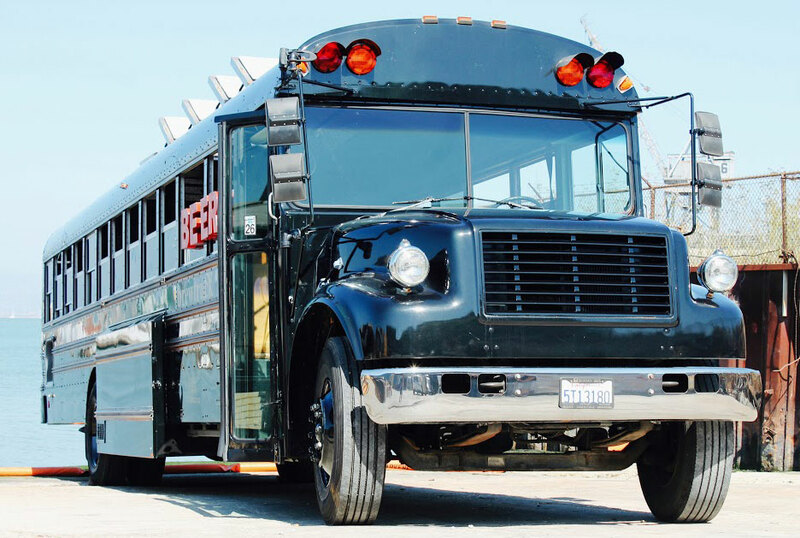 Hugh discovered a loophole in California law that enabled the permitting of a full-size school bus as a limousine. 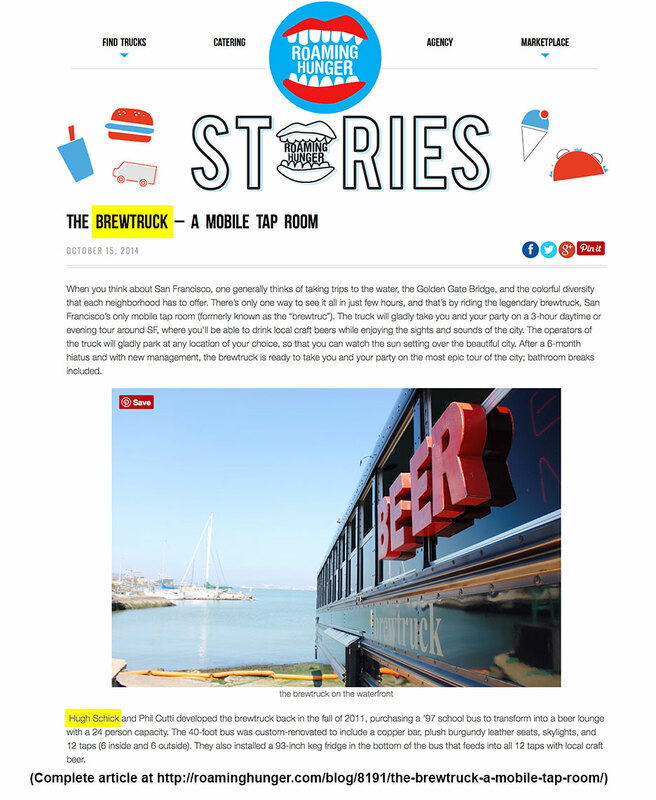 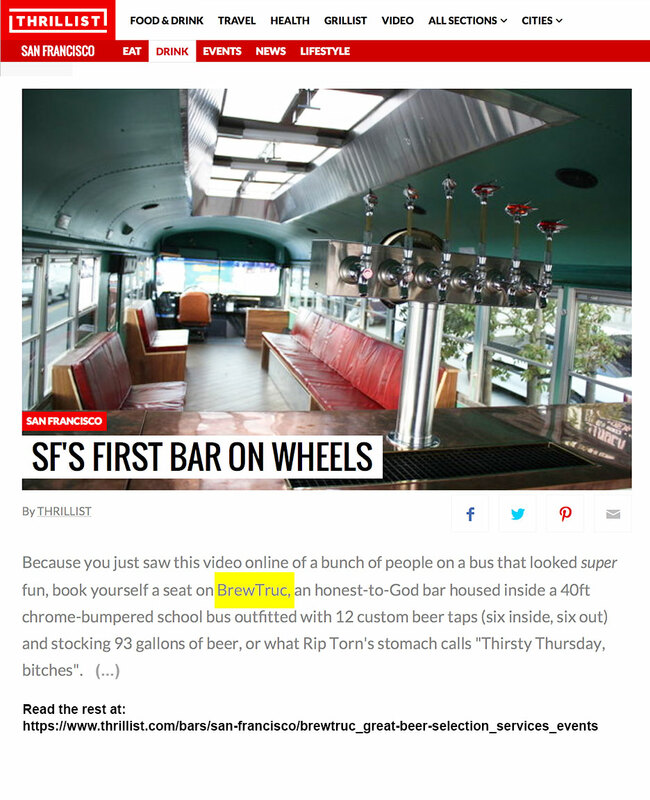 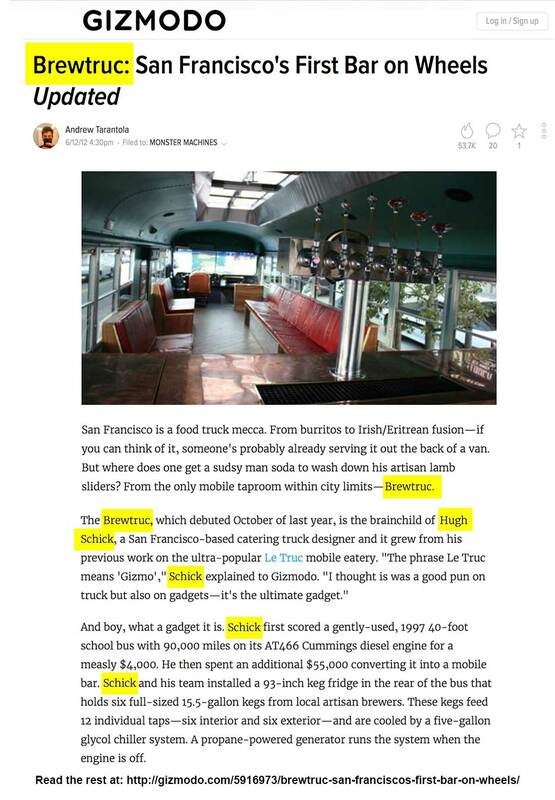 Consequently he was able to open brewtruc, a leather-and copper-clad taproom on wheels, serving beer not legal in any other San Francisco venues, including several world debuts of future micro-brew brands and imported beers never before seen in the US. 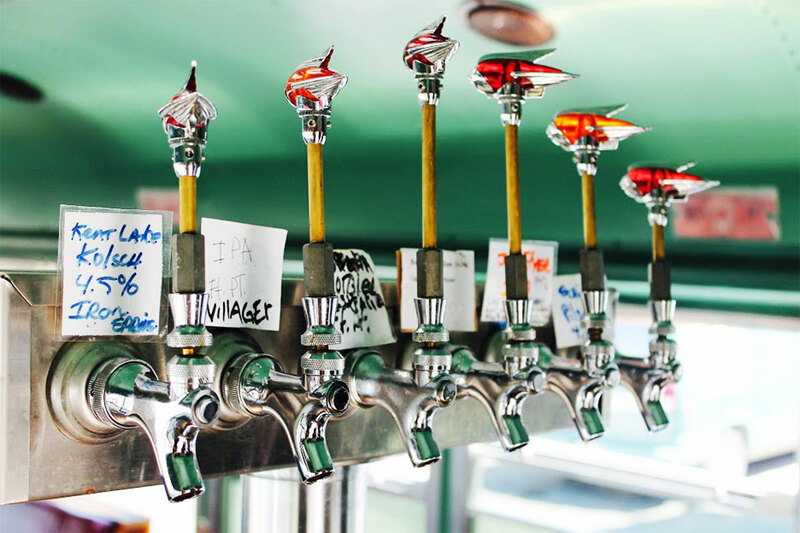 This first video shows the SBBT “Small Batch – Big Thirst” festival and homebrew tasting competition, which Hugh single-handedly organized with brewtruc at the center of it. 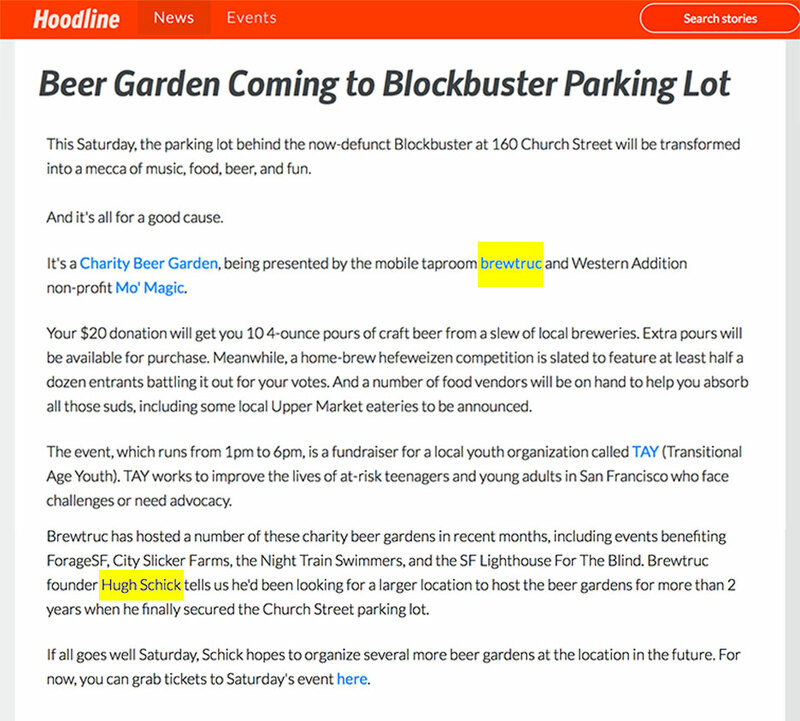 Hugh also played piano in the jazz quartet that performed at the festival, with Marty Krystal on tenor sax, JP Maramba on bass and Sinclair Lott on drums. 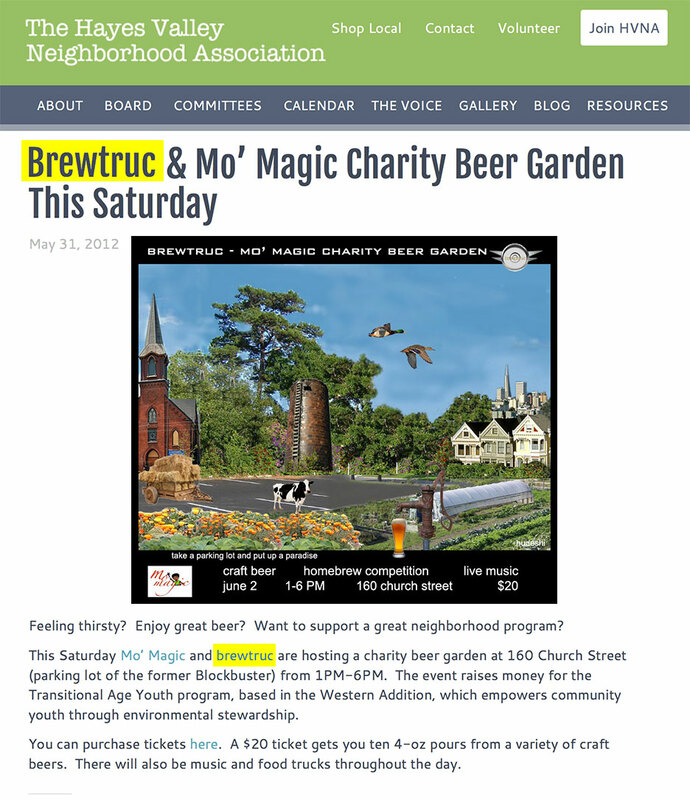 This second video shows the “Riding while Ingesting and Imbibing” event, also on brewtruc. 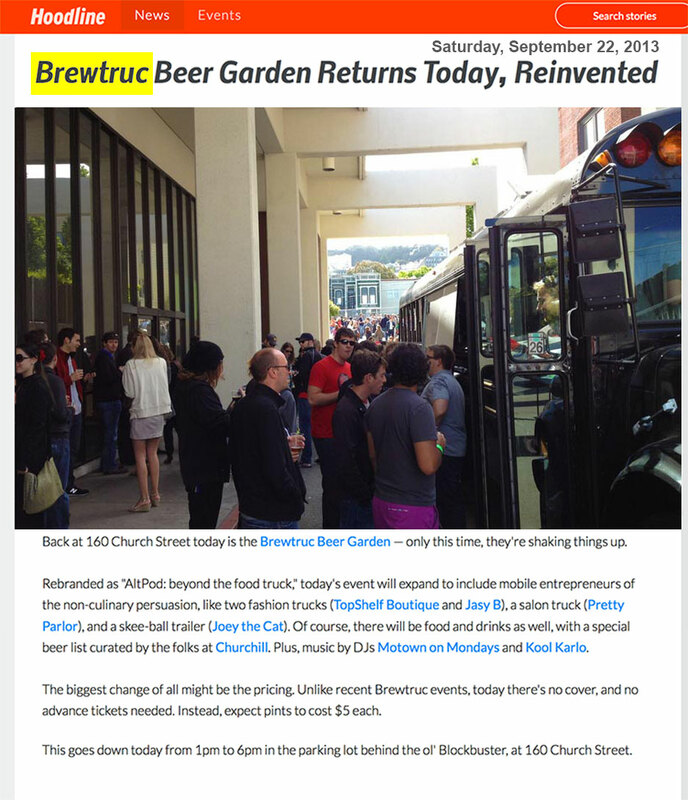 The Bold Italic: Brewtruc from Michael Baca on Vimeo.